Sun protection is a huge part of my summer skin care routine. Thanks to my partnership with Lunchbox, I am sharing some ways to perfect your routine and to save you some money with NEUTROGENA®. All opinions are my own. So, our skin has been cooped up all winter and all it wants is to soak up those sun rays. That’s fine, but do it safely. I am a true believer that sunshine is good for you, but in moderation. Of course, with all things that feel good, too much is bad. Thank goodness there are products out there to help protect us while we just focus on enjoying the summer. I remember going to a dermatologist way back when I was in high school and he recommended NEUTROGENA® Facial Cleansers. I thought that was just fabulous since they are affordable and easy to find. That was a while back, but they are still a brand that I trust. They continue to improve and develop new products for all skin care needs. Wash with NEUTROGENA® Facial Cleansers: Dermatologist-tested cleansers clean deep down to pores dissolving dirt, oil and makeup. Apply NEUTROGENA® Sun Protection: Breakthrough technologies that provide advance protection from the sun. 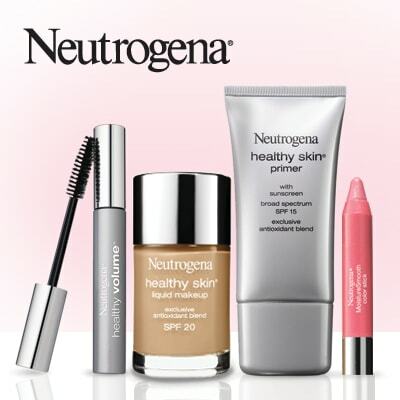 Pretty myself up with NEUTROGENA® Cosmetics: Gorgeous makeup that enhances your natural beauty, while helping to improve your skin’s healthy look. At the end of the day, wash again, and they apply NEUTROGENA® Rapid Wrinkle Repair®: Fade the look of stubborn deep wrinkles, including crow’s feet, forehead and cheek wrinkles. 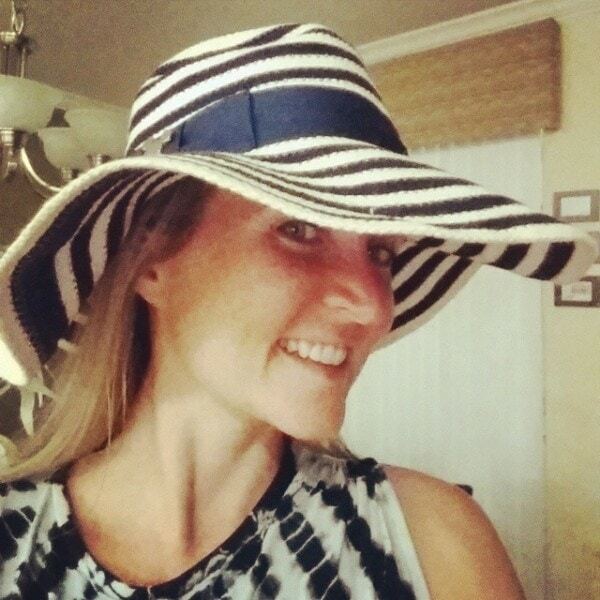 If you are like my sister and can pull off a floppy hat, that’s ideal for sun protection, too! 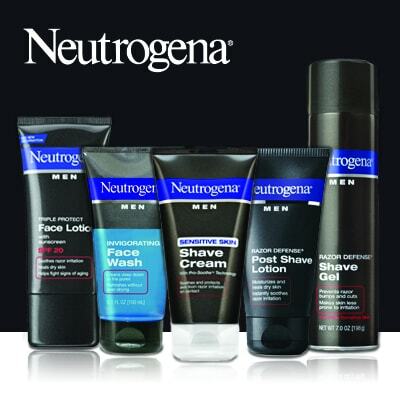 For the men in our lives, there’s also NEUTROGENA Men® Skin Care which is specifically formulated for men to shield sensitive skin from shaving irritation. 1 in 5 Americans will develop skin cancer in their lifetime, but early detection can save lives. Neutrogena invites you to join the fight against skin cancer by finding a free skin cancer screening near you, downloading a free self exam and learning about how to prevent skin cancer. Visit Walmart.com to learn more. Sigh….I don’t use any spf. I know I should, but I like to look tan & since we only get about 3 months of warm weather here in MA, I go all out in the sun. I love Neutrogena skin care products and their sun care line too! I actually had a small tube of sunblock from Neutrogena in my purse all weekend while out touring wineries. Their products are amazing, I use the body gel – my kids and I love it! I entered the giveaway hoping to try the many types of sunscreens. I want the ultra dry and my son needs the wet spray. THANKS!! Neutrogena is such a family favorite here. SPF is important from birth on. I love my daughters grew up always adding moisturizer with Spf to their bodies so its not a big deal anymore and they make great choices in the sun. Thanks for sharing. I use so many of those Neutrogena products. Good stuff! Love this post… it reminds me to add the face wipes to my hospital bag list! Last birth, they were my saving grace when I was too drained to wash my face (ever… for the first 6 months!). I love Neutrogena! It is so important to use good skincare products. I am 46 and starting to notice fine lines and wrinkles and I am always looking for good products to help me maintain my good skin. I just love neutrogena skin products! I am no longer a spring chicken and know how important it is to keep my skin in good health! Neutrogena has some awesome products to help keep my skin looking young. Great reminder, I love it when moisturizers have sunscreen right in the product! I love Neutrogena products. I use the foaming cleanser! Neutrogena makes some of the best sunscreen and makeup products! Thanks for the giveaway – I love Neutrogena! The cleanser and facial wipes are long time favorites of mine! Neutrogena is a great brand! The facial wipes are a favorite of mine. I have been using Neutrogena facial wipes for years because they are easy on my sensitive skin. I love Neutrogena! Their concealer is my favorite! I introduced my daughter to Neutrogena products and she uses them all the time now. They really do make great products that are comparable to more high end products, without the hefty pricetag. I love the product line. I have very fair skin and I burn if I so much as look at the sun, so stuff like this is a must for me. I have Always Trusted the NEUTROGENA line Of Products and have used them, but there are a few new ones that I would LOVE to try now that I am older and need more protection from the sun!! Thanks for the Chance to be able to do this!! Huge fan of NEUTROGENA . Thanks for the chance.